75 Days – but who’s counting? The Bicentennial Tower at Dobbin’s Landing in Erie, PA participated in Light it Up Blue in 2012 and will again this year. One Tuesday, two months and 16 days from today, what color will you be wearing? Odd question, I know. Today is January 17th, so who’s thinking about what to wear 75 days from today? I am! The sixth annual World Autism Awareness Day is April 2, 2013, and we will Light It Up Blue! 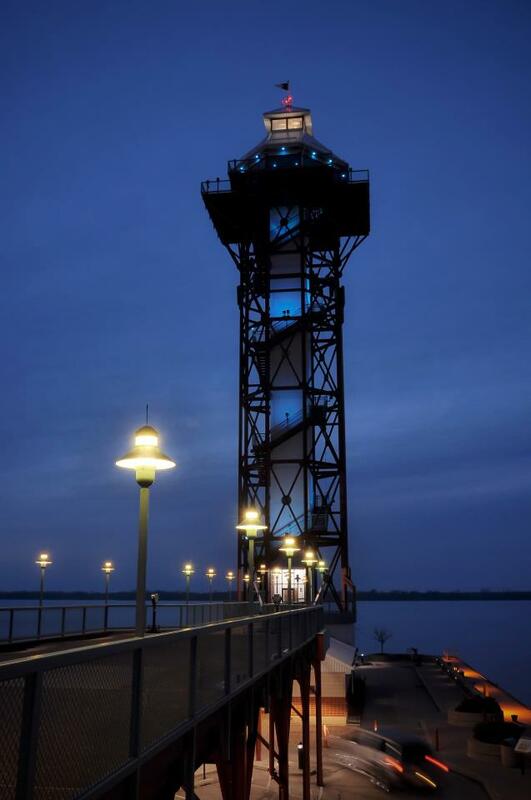 The Bicentennial Tower at Dobbin’s Landing in Erie, PA will shine with sapphire streams of light, and brilliant blue shades will color the sky around the world. Plans for Autism Awareness month are underway and I’m truly looking forward to celebrating. How will you celebrate? Do you have a building or landmark that you would like to light up blue? Register it at www.lightitupblue.org. Have a “blue” party with blue drinks, blue chips, blueberries, blue balloons, blue plates, blue flowers. As many of you know, my favorite color is purple, but on April 2nd I will be trading in my preferred hue for the color blue! This entry was posted in Uncategorized and tagged asd, autism awareness, erie, light it up blue. Bookmark the permalink.